An 8 year old child helping in the blacksmith shop, children making toys out of wood, pretending to be animals when they play, and watching the mill grind corn in to cornmeal. These scenes would be out of place by today’s standards where our entertainment options are high tech and we buy anything we need. 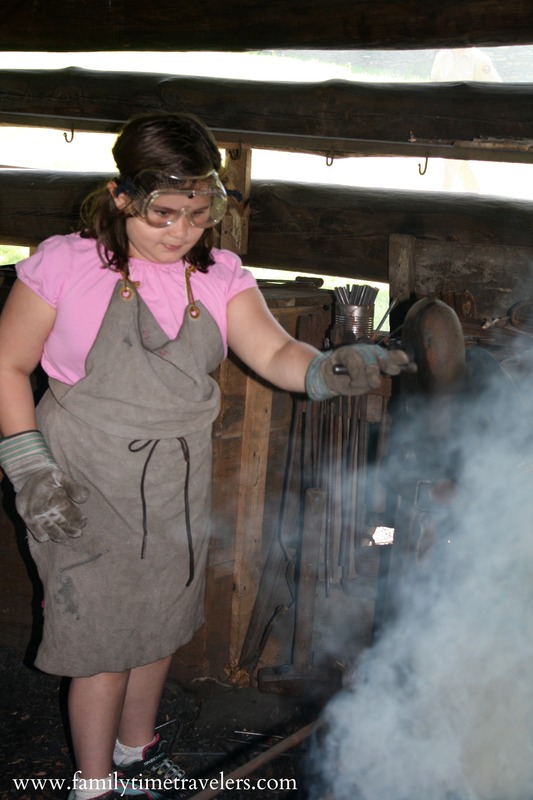 A 20 minute experience for our children in a blacksmith shop, got them involved and they learned what it was really like to live 150 years ago. 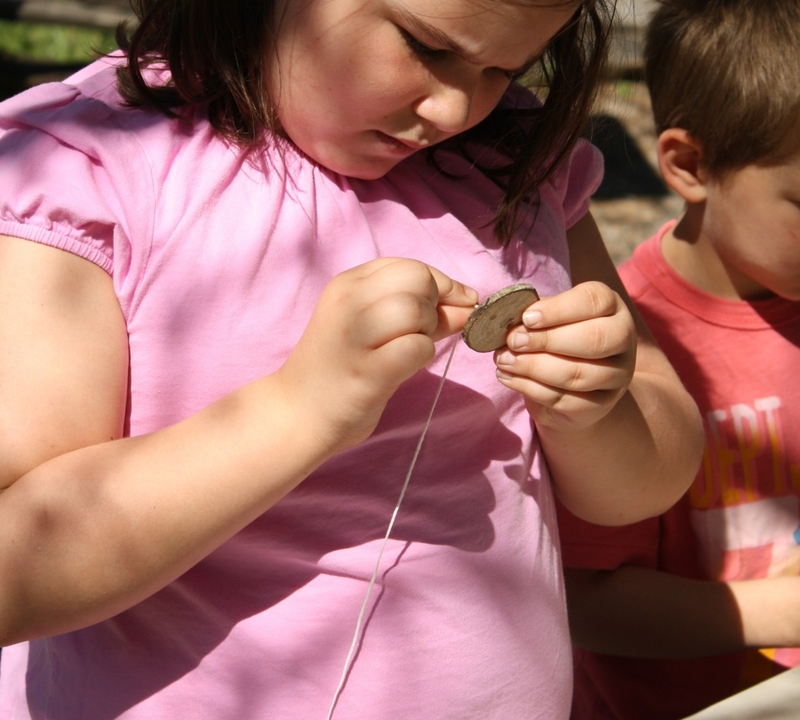 The Junior Ranger Program through our National Park System often provides hands on learning opportunities to bring history to the modern age without the use of computers, television, or e-books. I learned of this great program through our National Park System, the Junior Ranger program, while I was researching for several trips we are planning. Each National Park publishes booklets that can be picked up for free or a small charge. These booklets contain age appropriate activities to get children involved and learning about the particular park they are visiting. 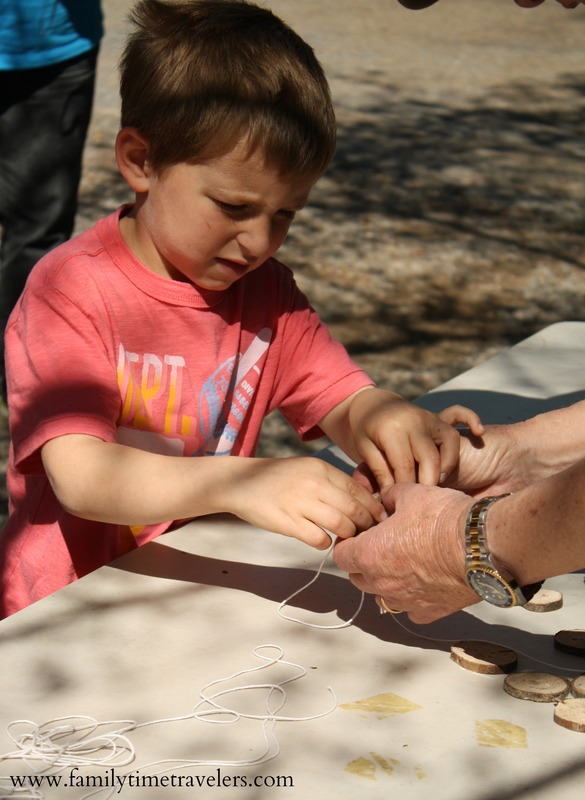 Upon completion of the activities, children can go back to the visitor center and answer a few questions to earn a Junior Ranger badge, patch, and certificate. We literally drove back in time upon entering Cades Cove. We started by looking at some of the preserved buildings; then we made our way to the visitors’ center half way through the loop. We were fortunate in that the Park Rangers were having special hands on activities for the children to earn their Junior Park Ranger badges. The Park Rangers hold these sessions throughout the summer months on most weekends. The times are available both at the visitors’ center and at the map location prior to entering the Cades Cove loop. For other national parks, check at the visitors’ centers to find out about the special hands on activities. On this day, rangers were talking about how the children of Cades Cove did not “enjoy” our modern entertainment. Toys were homemade, simplistic, and sparked creativity. So the first activity was to create a toy with a wooden disk and string. On display were other toys for the children to explore. 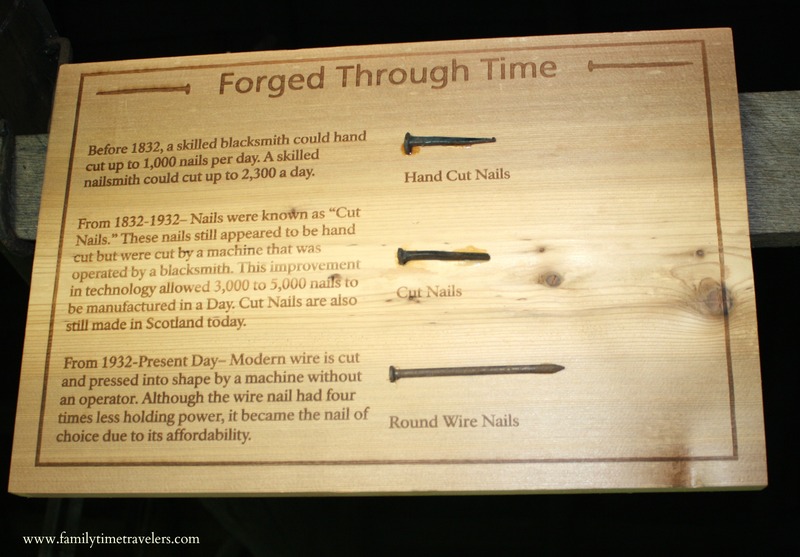 This activity provided a unique souvenir for the children to bring home to remind them of how children played over 100 years ago. Animals are an important part of the park and it was important for the residents to be aware of the animals and their habitats. They had to coexist with these animals and also rely on them at times for food. 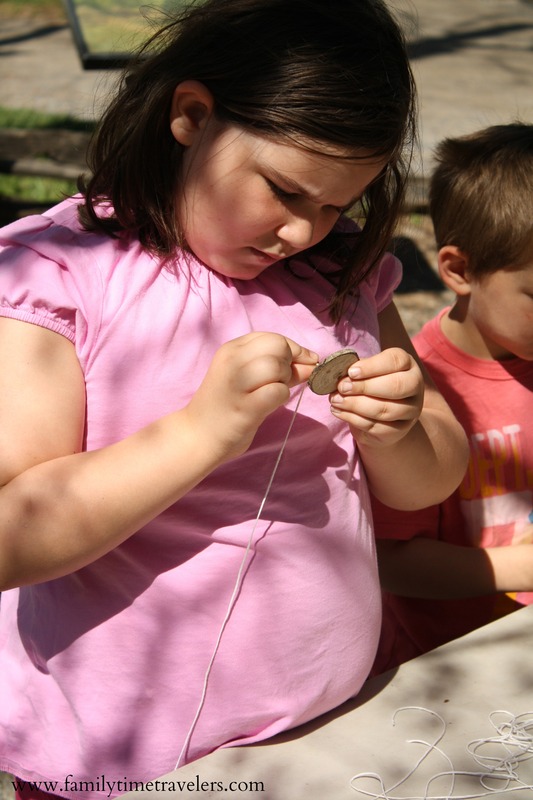 The second activity provided the children with hands on activities to learn about the animals of the park. They hopped like frogs, jumped like deer, ran like coyotes, and learned about the incredible eyesight of a hawk. Upon completion of “Animal Olympics”, the children were presented with a wooden medal. 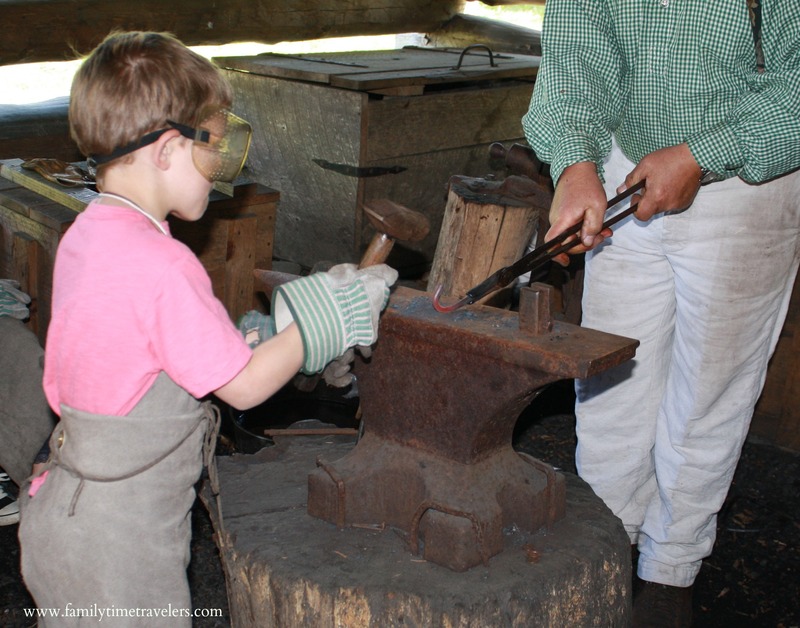 Blacksmiths were important members of the Cades Cove community. They focused on repurposing and creating the items necessary to build and maintain homes, barns, and even items like hooks and dinner bell triangles. In groups of 8, the children were invited into the Blacksmith building. 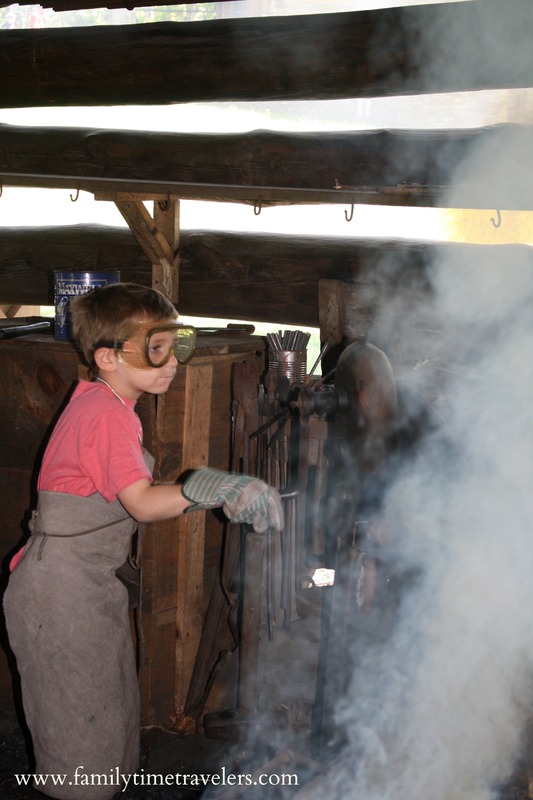 After putting on an apron, gloves, and goggles for safety, the children learned about the history of the blacksmith and how they made everyday items for the settlers. The children were able to help with the fire, bend steel to create their own triangle, and hammer out their striker for the bell. This activity made the greatest impression on Big E and Little E. They were so excited about getting to make their own dinner triangle to bring home. They talked about it for days and wanted to go back and do it again. 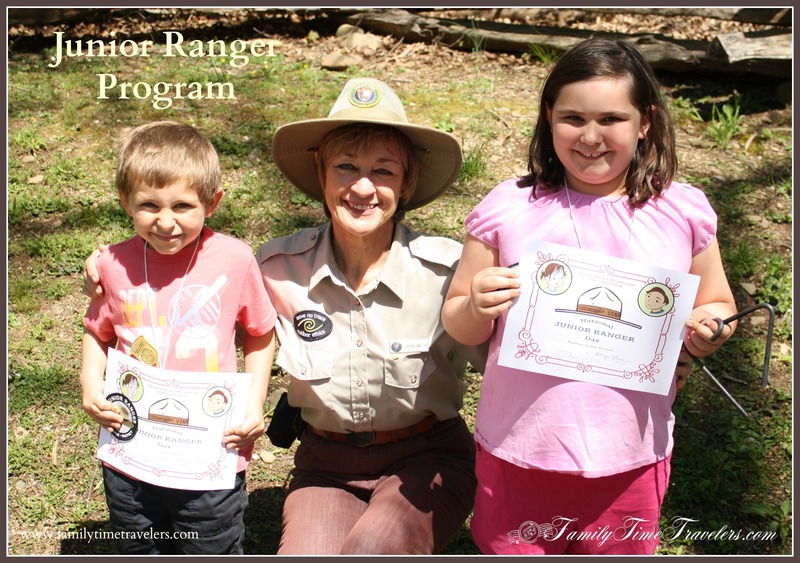 Upon completion of all three activities, the children returned to the Park Ranger and were given their certificates and “sworn in” as Junior Park Rangers. They also received a badge to wear and a patch. Overall, it was a wonderful experience for the kids to get up close and hands on with history. They remember much more about what they learned than if I had just told them about toys, animals, and blacksmiths. This entry was posted in Destinations, Great Smoky Mountains National Park, Kid Adventures, Tennessee, Treasures. Bookmark the permalink.